Expedia, one of the world’s largest online travel companies, announced the appointment of Simon Fiquet as General Manager for South East Asia and India. As part of the Asia Pacific management team, Fiquet will be responsible for expanding the brand’s footprint, P&L, and strategic business direction for Expedia brand across seven points of sale. Based out of Singapore, he will manage operational execution, introduction of innovative products, and the overall business results for Expedia. He will report to Jonathon Neal, CEO, AirAsiaExpedia. “The diverse and complex nature of the Asia Pacific region constantly presents fresh challenges to the online travel business. As Asia travels more frequently and further abroad, our APAC team is committed to meeting its aspirations with thorough market research and a deep understanding of local travel desires” said Jonathon Neal, CEO, AirAsiaExpedia. Fiquet brings with him a rich and versatile experience from the travel industry, having headed the APAC team for Google Travel. His key responsibilities at Google included P&L, sales, team building, and driving partnerships with the largest travel companies across online travel agents, hotel chains, airlines, tourism boards, and meta-search engines. He has been an active speaker at various leading travel conferences including Asia Leaders EyeForTravel (2015), HICAP update (2015), Travel Distribution Summit (2014), Web In Travel (2014), WTTC Asia (2013) and UNWTO Asia (2013). His earlier professional roles include various sales positions in Europe for Google, and as a strategy consultant for Mars&Co. 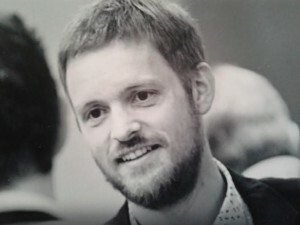 Simon Fiquet holds a degree in Electrical and Aerospace Engineering from the University de Montréal – École Polytechnique de Montréal, and a Masters of Applied Science from the École Polytechnique in Paris.